The T-34 is a Soviet medium tank designed by the famous engineer Mikhail Ilyich Koshkin at the Kharkiv Komintern Locomotive Plant (KhPZ). 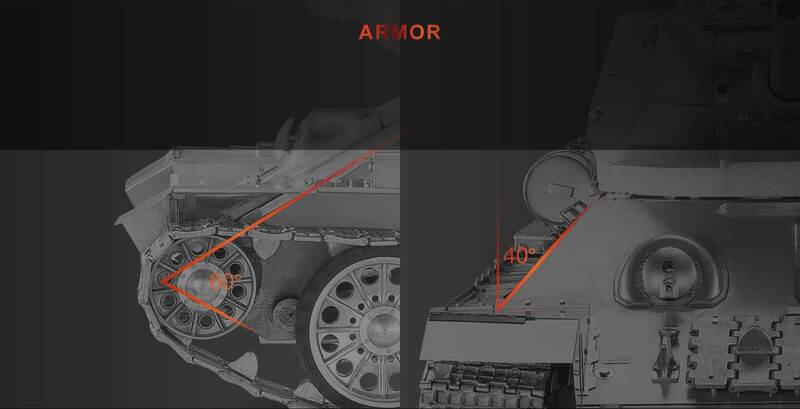 The heavily sloped armor and many other design ideas had a profound and lasting effect in the history of tank development. 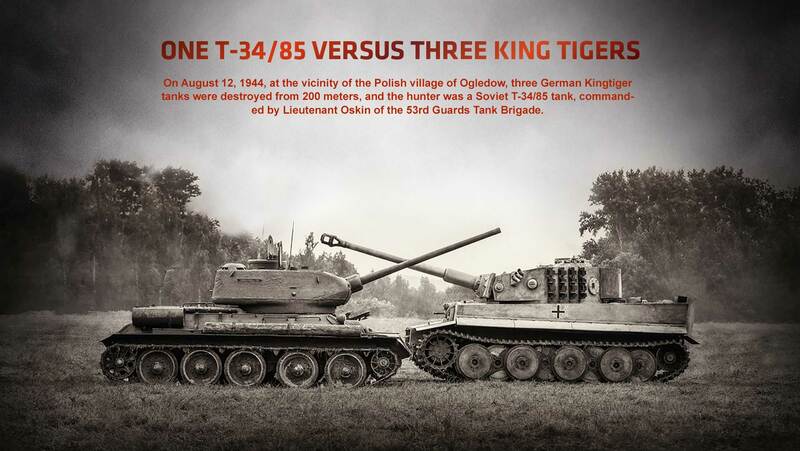 The Russians, after analyzing the captured Tiger and Panther tanks, recognized that their existing tanks required improvements in order to counter this new threat. They started a modification program, which included a much more powerful long barreled 85mm main gun in a new enlarged cast turret. On her spacious fields,The enemy shall not dare tread!Let noble wrath Boil over like a wave! We shall repulse the plunderers.This is the people's war, a Sacred war! and all the details are precisely replicated by using the original casting technology of metal parts. The hull, turret, and mantlet are precisely replicated by 3D point scanning technique, and the number of components and parts is guaranteed. 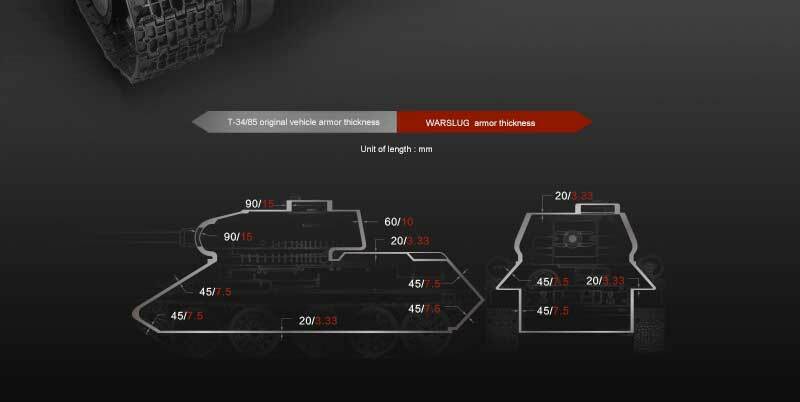 The designers and engineers of WARSLUG also considered many other details, such as: the accurate proportion, the exact sizes of steel plates, the movable hatches and all the accessory parts, etc. If you were a tank commander, challenging your enemy in a single combat, Kingtiger might be your No.1 choice. 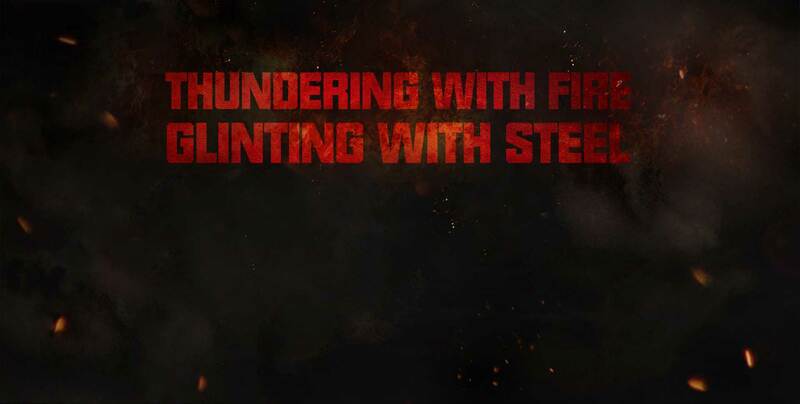 If you were the leader of a combat group, beating your enemy everywhere, Panther might be your good choice. But if you were a Field Marshal, heading your army to attack the enemy, saving your fatherland and winning the war, please use the Soviet T-34 tanks. The T-34/85 medium tank was the mainstay of Soviet armored forces in the Great Patriotic War. 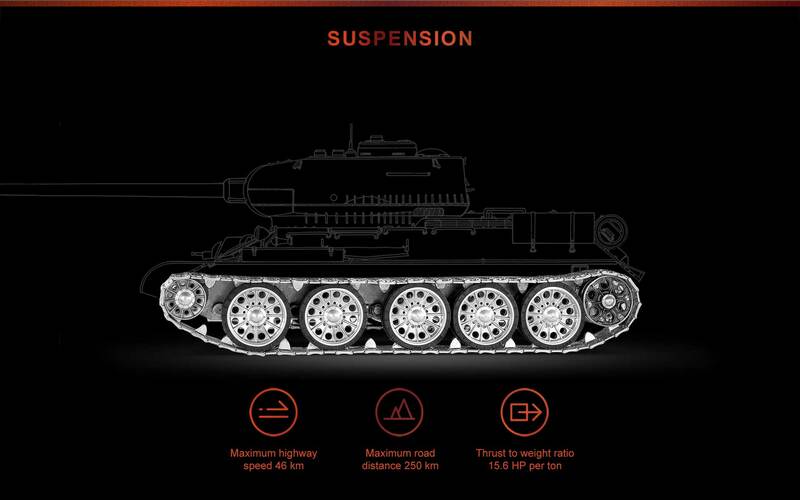 Its good maneuverability, durability far exceeded that of its German counterpart, and its powerful 85 mm (/56) ZiS S-53 gun could penetrate 102 mm steel plate from 1000 m.
Although its armor and armament were surpassed by German Panther, it has often been credited as the most effective, efficient, capable and influential tank design of the Second World War. commanded by Lieutenant Oskin of the 53rd Guards Tank Brigade. 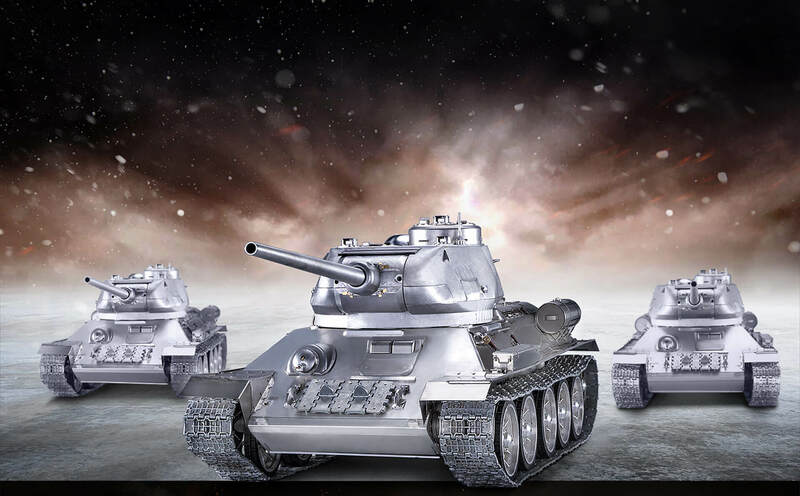 As a medium tank, the T-34/85 possessed an unprecedented combination of firepower, mobility, protection and ruggedness. With its concise design and beautiful shape, the T-34/85 became the perfect symbol of the Great Patriotic War in the Soviet Union. 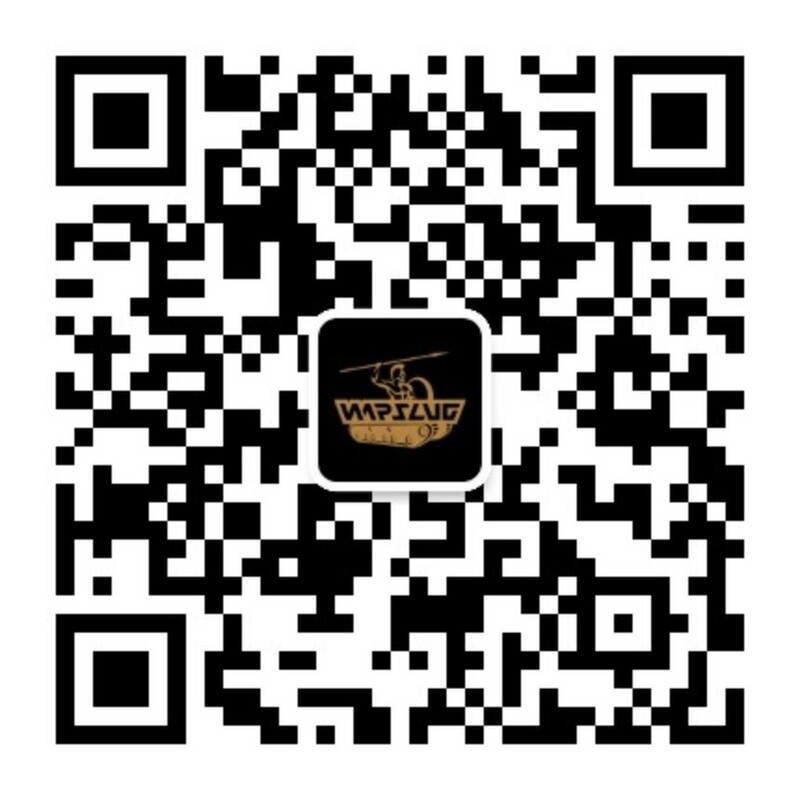 It was convenient for improvement and has good adaptability to various environments in the battlefield. 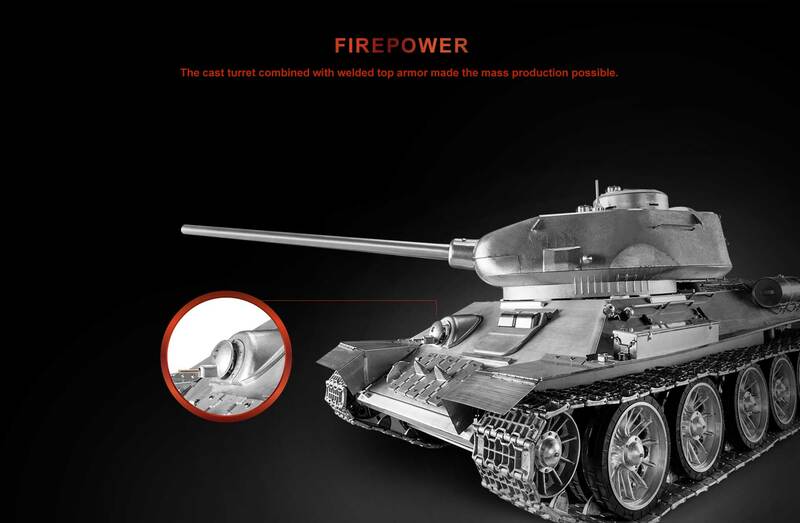 The cast turret combined with welded top armor made the mass production possible. 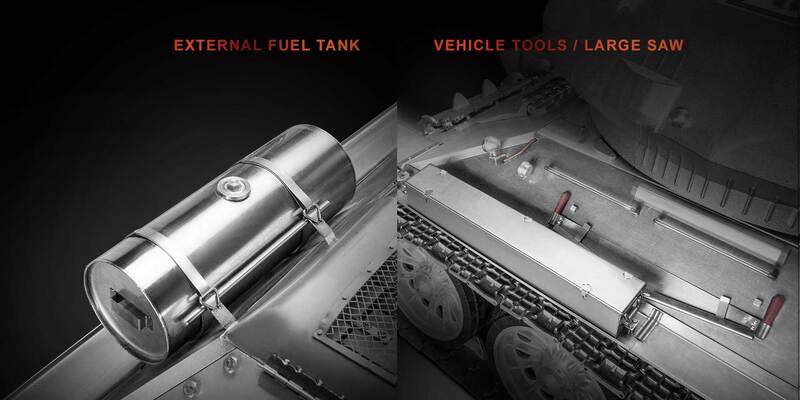 using Hyper-Velocity Armor Piercing (HVAP), so that this 85mm tank gun could penetrate 102 mm steel plate from 1000 m.
unprecedented: front armor 60°, side armor 40°, and rear armor 48°. and then made the tank better protected without increasing the overall weight. The T-34 tank was equipped with famous 12-cylinder Model V-2-34 diesel engine, designed by the famous engineer Konstantin Chelpan. 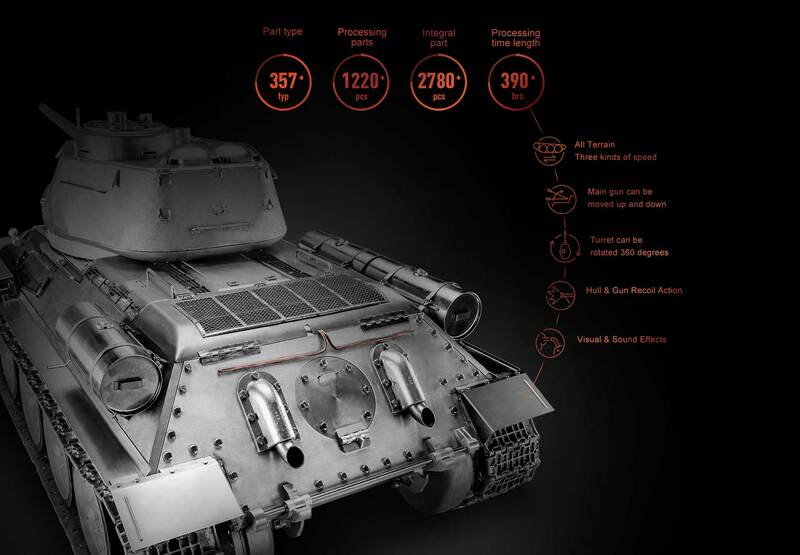 This powerful 500 hp Diesel engine provided T-34 tank a mileage over 400 kilometers, and it was more fuel-efficient, comparing with the four stroke cycle gasoline engine. The specially designed air compressor allowed the diesel engine work properly, even in terrible winter. Another marked advantage over German tanks was the wide tracks and good suspension, which offered the tank the ability to move over deep mud or snow. for the upper run of track, but dispensed with the heavy and ineffective convertible drive. 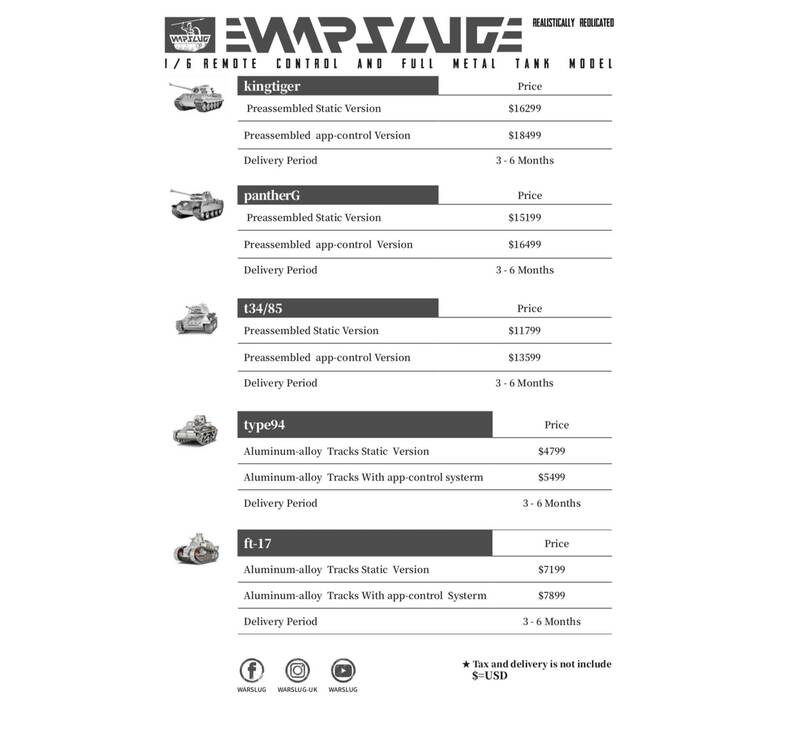 This design gave the T-34 tank excellent cross-country performance. 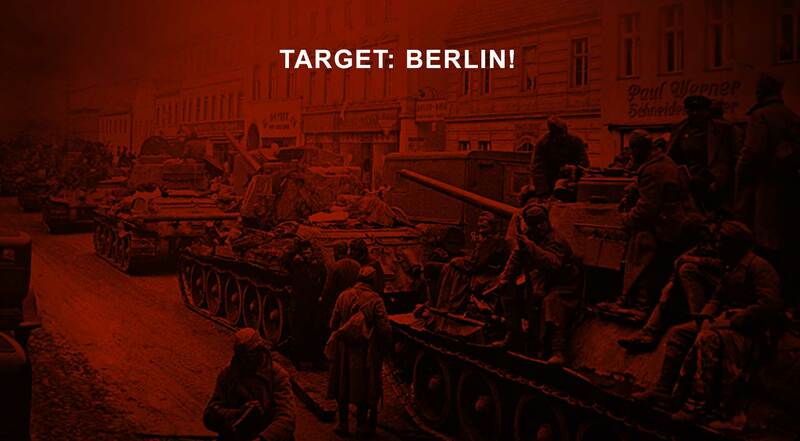 which were equipped with T-34/85 tanks, became the first allied forces to enter the capital of the Third Reich. but also as the symbol of victory as well as the warning of war. The heavily sloped armor design made the tank better protected. The powerful tank gun could penetrate thick armor. 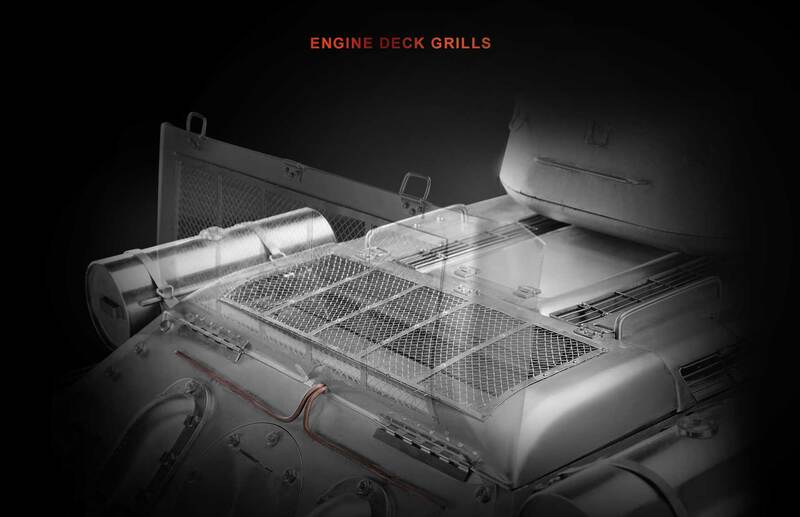 The reliable diesel engine provided strong horsepower. 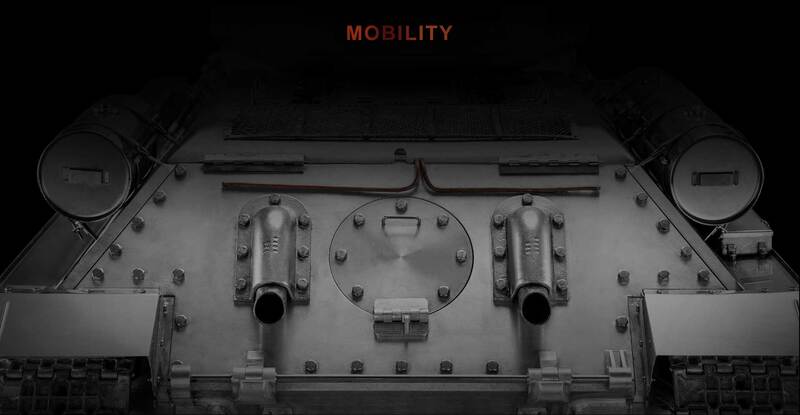 Wide tracks gave the tank excellent cross-country performance. Anyone could drive the tank even without training. 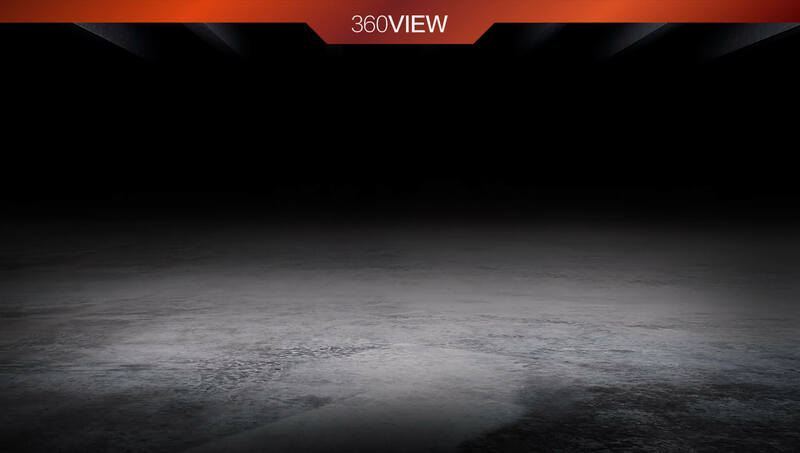 This tank appeared on every battlefield. No matter how formidable the enemy was. It could beat invaders everywhere.